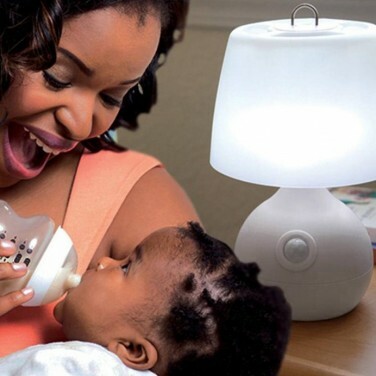 Soothe your baby and tend to nappy changes and night feeds all in soft light that automatically switches on when you enter your baby's room. 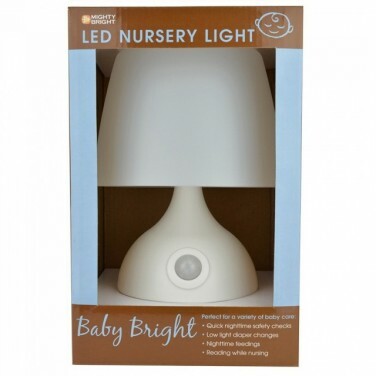 The Baby Bright nursery light is lit with eight white LEDs that illuminate automatically when they detect movement only switching off again 30 seconds after movement has ceased. 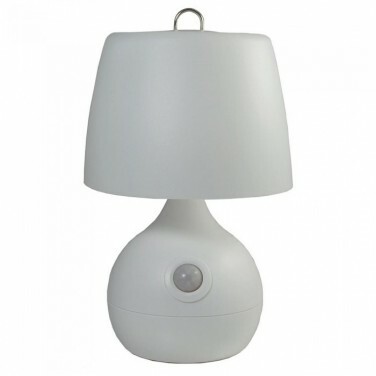 Perfect for baby's rooms, the low light setting allows you to comfort your baby allowing them to settle faster than in bright light, and with motion detected within 16 feet of the lamp, the light will switch on even when your hands are full!